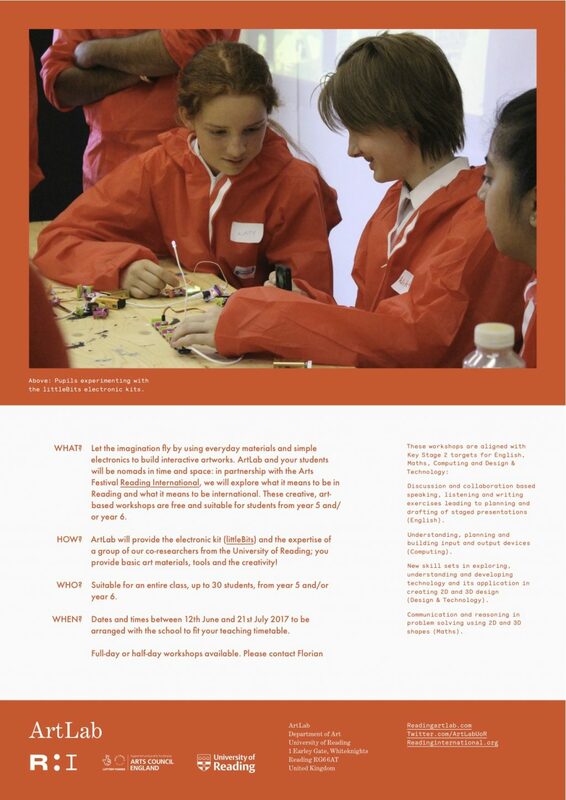 Promoting Widening Participation: Opportunities for Reading Primary Schools Let the imagination fly by using everyday materials and simple electronics to build interactive artworks. ArtLab and your students will be nomads in time and space. We will respond to the exciting new artworks produced by the international artists coming to READING for our new Arts Festival Reading International, and look at the local and global and explore how we experience our life in Reading and what it means to be INTERNATIONAL. These workshops will explore the theme of private / public spaces and the role of science, technology and art to link and connect these different areas and blur boundaries. WHAT? These creative, art- based workshops are free and suitable for students from year 5 and/ or year 6. HOW? 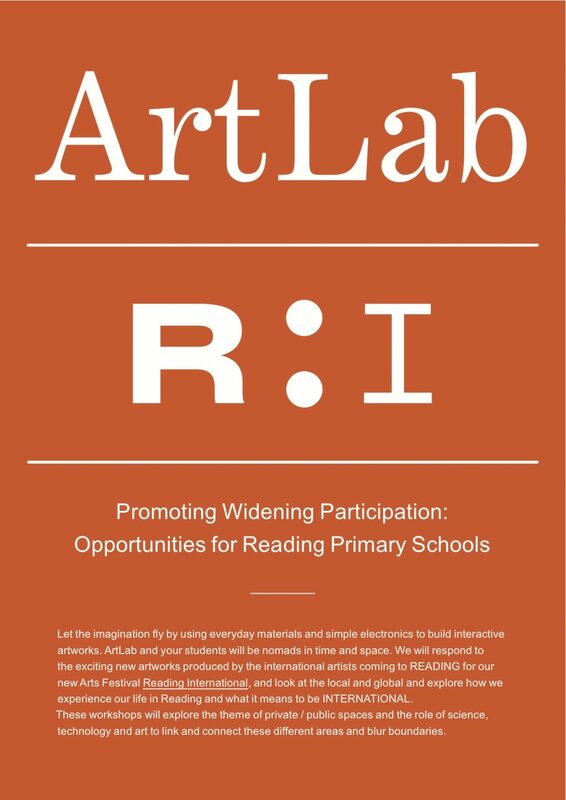 ArtLab will provide the electronic kit (littleBits) and the expertise of a group of our co-researchers from the University of Reading; you provide basic art materials, tools and the creativity! WHO? Suitable for an entire class, up to 30 students, from year 5 and/or year 6. WHEN? Dates and times between 12th June and 21st July 2017 to be arranged with the school to fit your teaching timetable. Full-day or half-day workshops available. Please contact Florian Roithmayr f.roithmayr@reading.ac.uk These workshops are aligned with Key Stage 2 targets for English, Maths, Computing and Design & Technology: Discussion and collaboration based speaking, listening and writing exercises leading to planning and drafting of staged presentations (English). Understanding, planning and building input and output devices (Computing). New skill sets in exploring, understanding and developing technology and its application in creating 2D and 3D design (Design & Technology). Communication and reasoning in problem solving using 2D and 3D shapes (Maths).